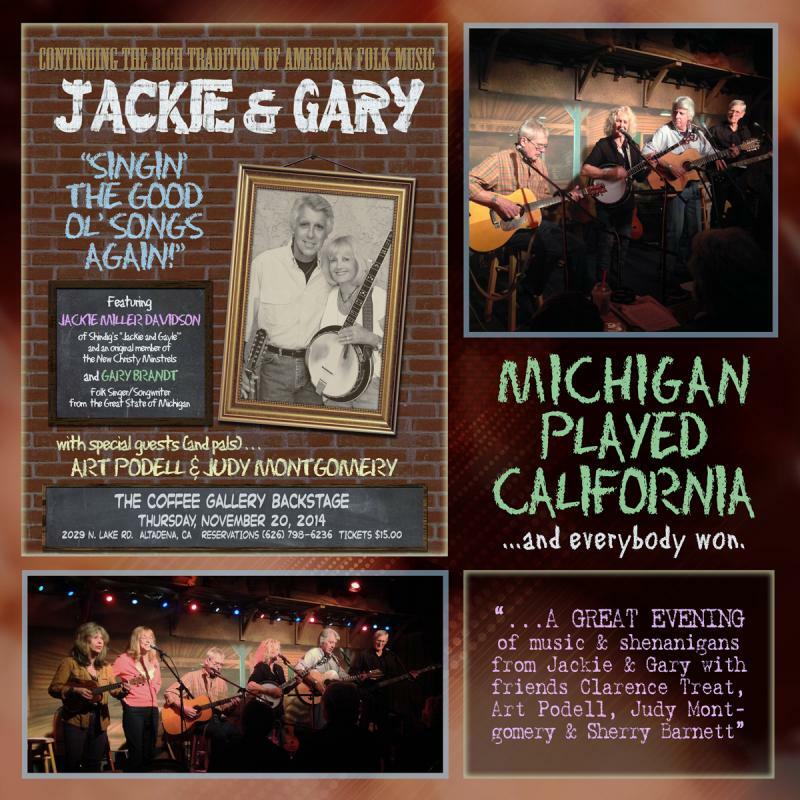 Singin' All The Good Old Songs Again - "GARY'S BLOG"
Last November....Jackie, Art, Clarence and I did a show at the 'Coffee Gallery Backstage'...in Altadena, California. We had two rehearsals...did the performance...and had a great time celebrating after the show. All of us wanted to do more....so we did...a beautiful house dinner/concert for about 45 people...in Palm Desert. Everyone stood up and cheered! Wow! We knew we had something here! As we sat under a beautiful California sky...sipping on ice water and eating a plate full of excellent dinner....i wanted to discuss how to keep this going...so we did....and we are! In those few short days..a time of good fellowship and fun...a comraderie was developed....or maybe even continued...and "DELUXE EDITION" was born. For me, it was great to see Jackie, Art and Clarence...smile, laugh and have fun together...particularly during this time in their music journey...and have a chance to take the stage and complete their career with the respect and recognition they deserve! To be a part of it? Some of the most fun...i have ever had with music!